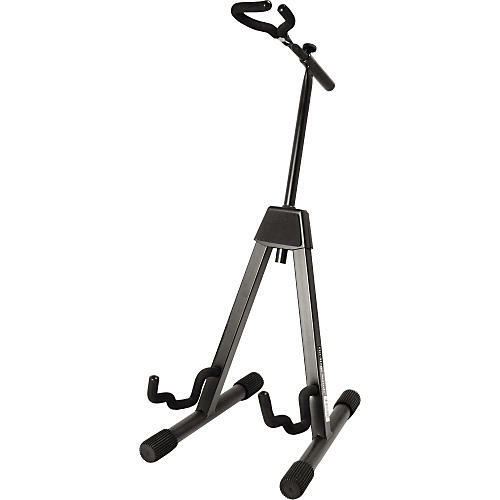 Extremely versatile stand holds an electric or acoustic guitar, and folds flat in seconds! Possibly the safest guitar stand on the market today, the Flip-It! A-Frame combines the convenience of an A-Frame with the safety of On-Stage's patented Flip-It! top yoke. The GS7465B features heavy-duty square tubing, velveteen rubber and a "uni-construction" design which means that there are no parts to lose. Holds both acoustic and electric guitars. Upper yoke stores between the legs for travel or storage.